I’m going to let you in on a little secret us locals have been trying to keep under wraps for years. 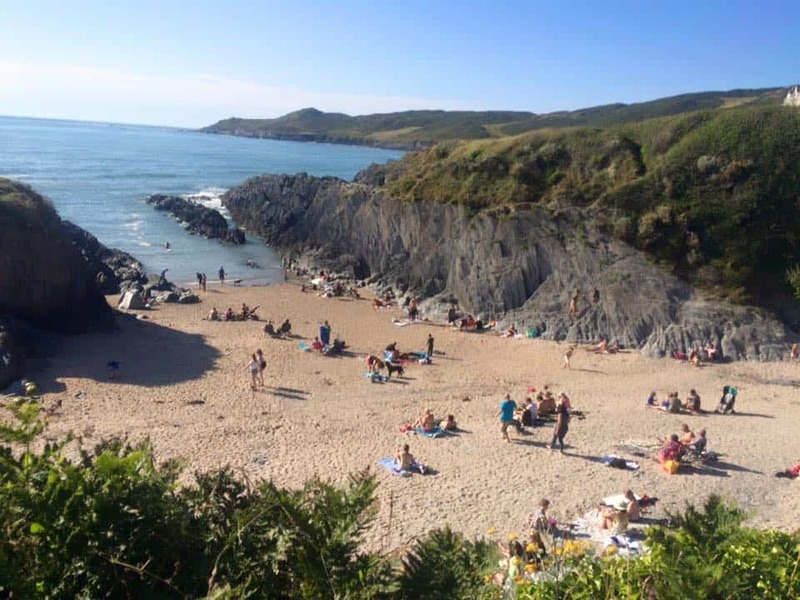 Tucked out of the way, shrouded in the cliffside away from the busy tourist haven of Woolacombe is a tiny beach called Barricane. You’ll find within it a small beach hut, but this is not your average ‘tea and ice-cream’, oh no. Who wouldn’t want to eat curry here!? 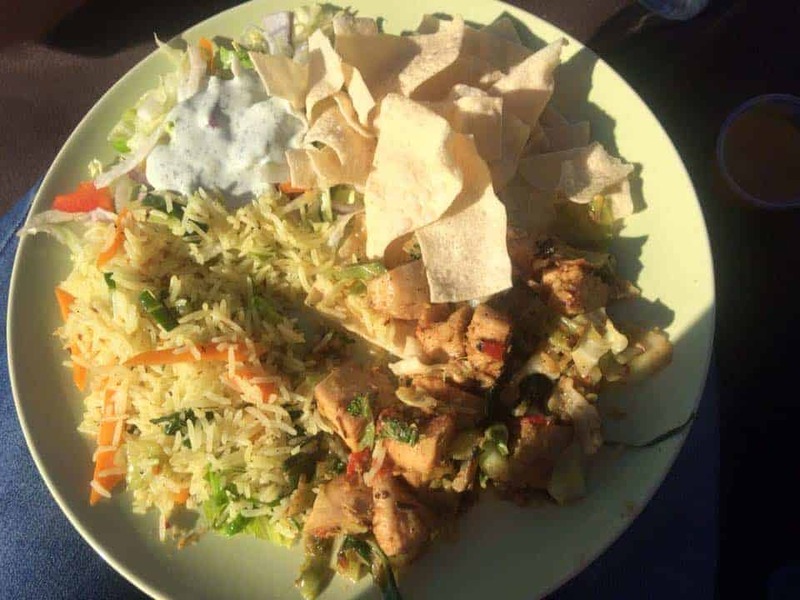 Because Barricane Beach’s Sri Lankan curries are probably one of the most anticipated events of the summer in North Devon – and the word is spreading fast. Once a secret spot only known by a few lucky locals, now Barricane Beach is revisited by thousands of people each year, their curries often selling out within an hour or so, and they’ve even made it into the Guardian. And the best bit? They’re all gluten free! Let me set the scene for you a little: pack up the picnic rug in the car with a few bottles of your chosen tipple, maybe bring a jumper so you can sit on the sand and watch the sun set from your prime, curry-eating spot. Curry serving begins at 5pm, so you’ll want to get there early. They only serve until 7.30pm but it’s best to get there as soon as you can because once it’s gone, it’s gone. Delicious gluten free chicken curry on the beach. There is often a choice of dish, chicken or vegetable, hot or mild. I opted for the medium when I last went, and it was delicious. It’s cash only but for around £8-£9 you’ll get a plate of fresh curry, rice and poppadoms. I can’t really think of a better way to spend an evening than to sit on the beach, curry in hand, sipping on a can of fizzy coconut and lime (so tasty!) and watching everyone around me enjoying themselves. It can get busy – particularly when it’s high tide – and the cafe is only open when the weather is dry – you can check Barricane Beach Cafe Facebook page for the latest openings. One very happy curry scoffing coeliac! 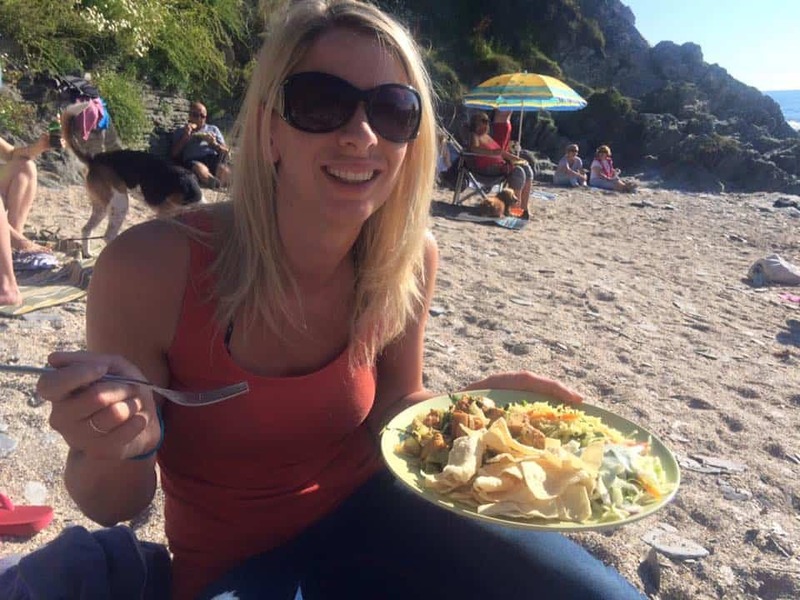 So if you’re visiting North Devon make a trip to Woolacombe and you won’t be disappointed with Barricane Beach’s delicious gluten free curries. It will ensure you come back for more!